The highly productive waters and shores of British Columbia’s coast support an incredible diversity and density of marine life. Vast numbers of marine birds use these areas for critical activities such as breeding, foraging, wintering and migration. It is estimated that nearly 6 million individuals from 15 or so seabird species breed locally. The coast is also a portion of the Pacific Flyway, a major corridor for millions of migratory birds travelling to and from breeding grounds in the Arctic and elsewhere in the continent. Long distance migrants that may breed elsewhere in the world, such as albatrosses and shearwaters, are found offshore in significant numbers. Despite their multitudes, many marine bird species on our coast are of great conservation concern. Some populations are known or are suspected to be experiencing declines. Major knowledge gaps exist for marine birds at sea, particularly during seasons other than summer and for North and Central coast waters. This lack of information is a large concern as threats to marine birds are numerous and often interactive. 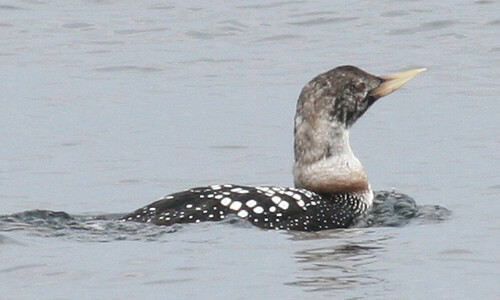 To address these knowledge gaps, Raincoast undertook extensive at-sea marine bird surveys between 2005 and 2008. We surveyed thousands of kilometers and amassed nearly 20,000 marine bird sightings with over 100,000 individuals counted in more than 70 species.